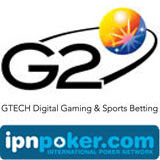 Last week GTECH G2 announced that the Bad Beat Jackpot on its International Poker Network (IPN) was approaching €400,000 thanks to a couple of boosts they'd given it. They've just boosted it again today to push it to €500,000. Paradise Poker, Poker Heaven and Virgin Poker are all on the IPN, the largest independent poker network in Europe.